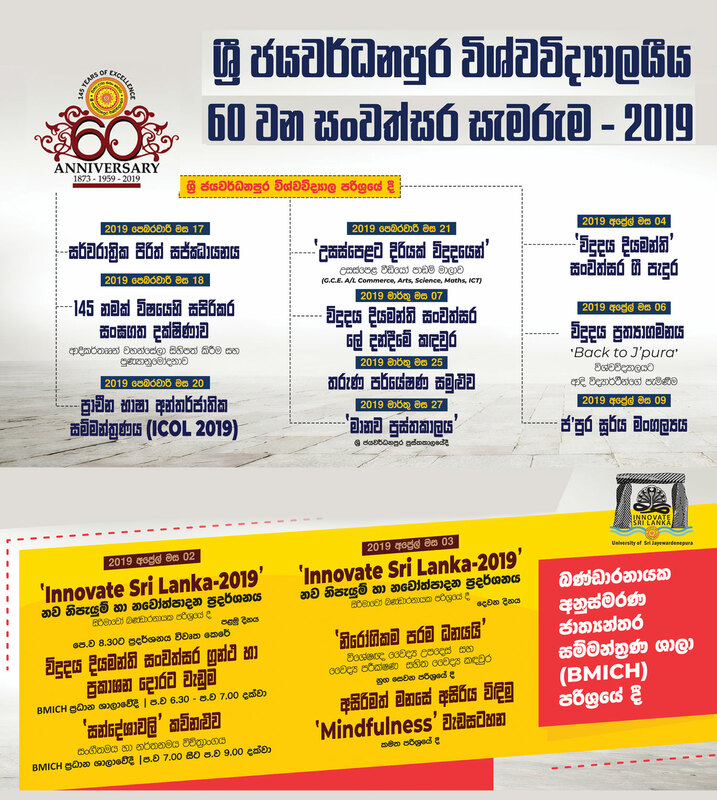 ‘Innovate Sri Lanka’ Innovation and Invention Exhibition 2019 at BMICH Sirimavo Bandaranaike Memorial Hall. 1972 – Establishing the 1st Management Faculty (FMSC) in SL University System. 1973 – Converting Faculty of Science to Faculty of Applied Sciences. 19 to 21 Feb. 2009 – Vidujaya Thun Kal Dekma: Arts, Management & Science Exhibition at the University premises.